Nigerian Air Force (NAF) on Thursday said its Agusta 109 Light Utility Helicopter crashed while undertaking a liaison mission in the North East. Olatokunbo Adesanya, Air Commodore and Director of Public Relations and Information, NAF Headquarters, said this in a statement. 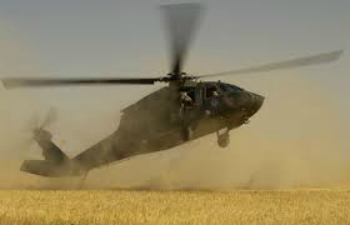 Mr. Adesanya said the helicopter’s target was to further enhance synergy between Nigerian Army and NAF in the ongoing counter-insurgency operations in the North-East. He said the incident, which occurred on Thursday, was as a result of technical fault. According to him, NAF command has immediately directed the constitution of a board of inquiry to determine the exact cause of the incident.